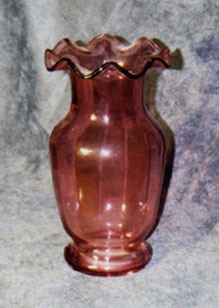 V-329 - Very attractive pinkish hued vase. Beautiful ruffled rim. It measures 9 H X 4-3/4 around. The weight is 1 LB, 14 oz. $55.00.